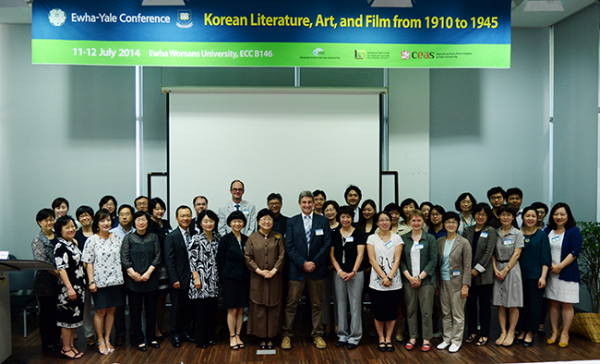 The 3rd academic conference was held collaboratively between the Ewha Institute for the Humanities (EIH) and Paris-Est University’s Institute for Literature, Knowledge, and the Arts. 6 researchers from the EIH and 8 researchers from Paris-Est participated with 16 presentations. 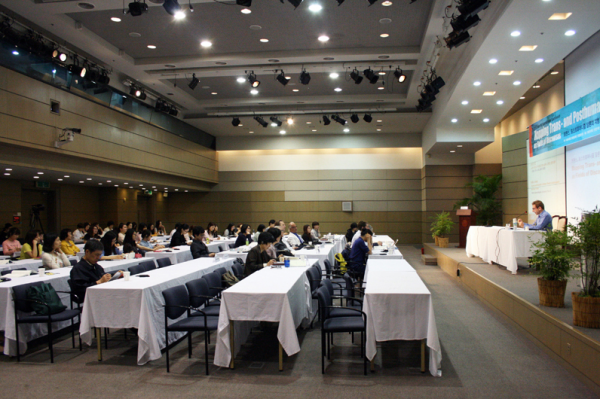 Prior to 2012, the two institutes have held academic conferences every year under the collaborative research theme of “Historical Writing”. 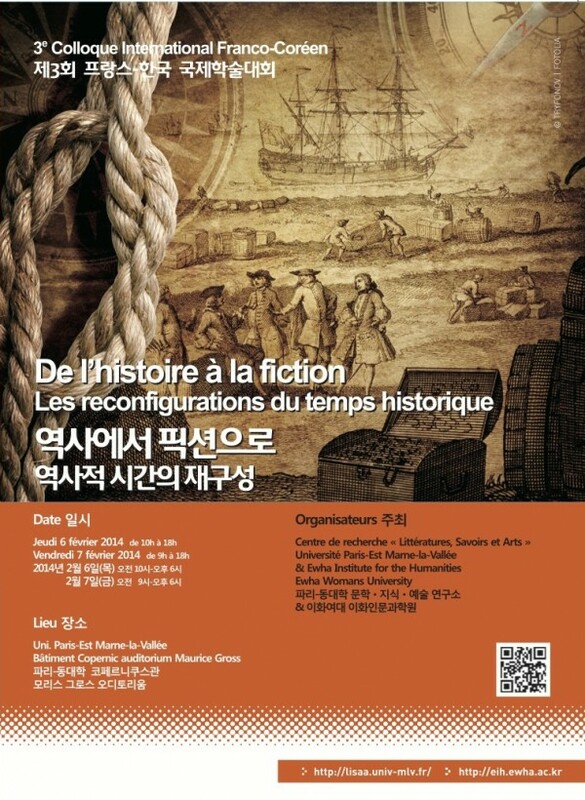 At this conference, an introductory session took place discussing the difference in regard to the recognition of time and historical narrative between Korea and France, or in a broader perspective, East-Asia and Europe, which solidified the continuity and significance of the collaborative academic conference. We are presently facing a rapidly changing science technology and the change in the understanding of the human it poses. While adhering to a critical perspective towards an uncritical optimism and anti-scientific metaphysics towards science and technology, the EIH aims to search for a humanities paradigm which can explain “the condition of a new human” based on an interdisciplinary research such as on the fields of philosophy, cultural sociology, art history, media studies, history of science and technology, etc. This international conference with eminent international and domestic scholars was held in part with such aims to examine the topology of trans- or post-humanism discourses and comprehensively deal with the problems of ‘subjectivity’, ‘body’, ‘environment’, ‘the woman’, etc. as new human conditions. 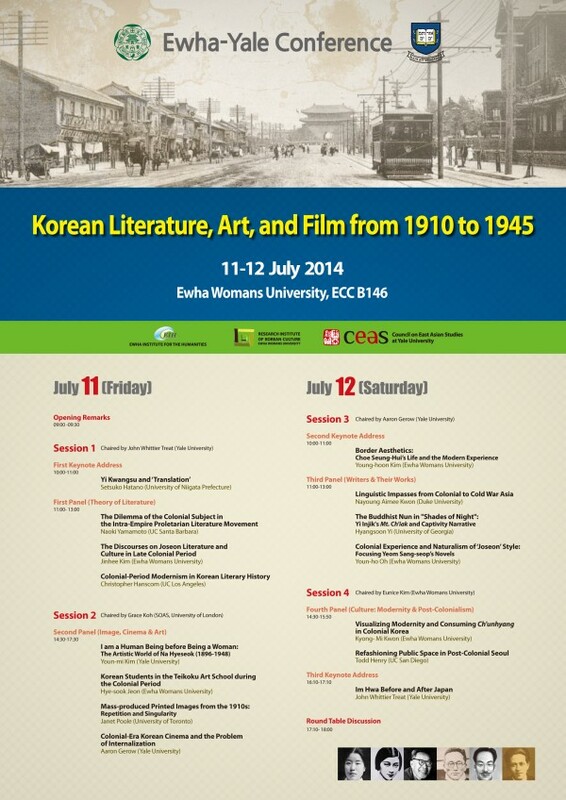 In the first collaboration between the EIH and the Council on East Asian Studies (CEAS) at Yale University, 15 scholars from Korea, the United States, Japan and Canada presented at Ewha Campus talks on Korean art, literature and film in Korea from 1910 to 1945, discussing the culture of Korea under Japanese occupation before and during the Second World War. This collaboration wil be continued this year.